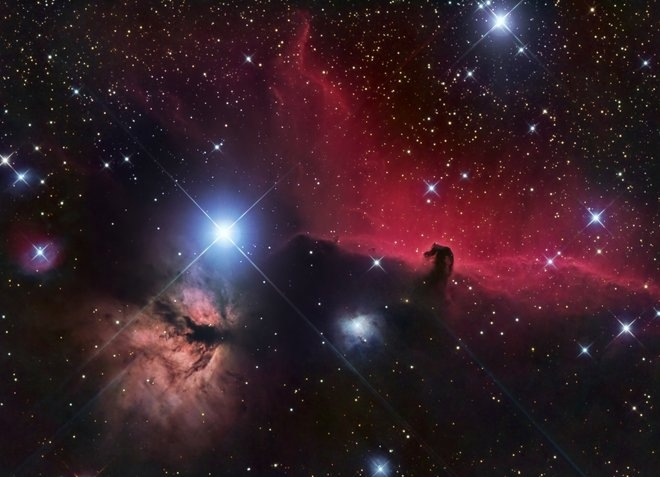 Saddled up in the Orion Molecular Cloud is a horse-shaped object known as the Horsehead Nebula. (More infor in Comments) | Poal: Say what you want. Gorgeous photo. If I ever win the lottery I'm buying the best telescope I can fit in my house. Even with that you'll never get anything close to pics like these! Still nice to have though.